Welcome to my web-page. I am currently a software engineer at Waymo working on behavior prediction. I recieved my PhD degree in Machine Learning from Carnegie Mellon University, where I was advised by Prof. Geoffrey Gordon. My PhD research focused on building better models for learning and control of dynamical systems, with the goal of providing practical methods with provable guarantees for learning to act and predict in partially observable environments. My research towards this goal utilized elements and ideas from predictive state representations, kernel methods, recurrent neural networks and reinforcement learning. My other interests include optimization, building probabilistic models for textual and social data, and software engineering for machine learning. Prior to joining CMU, I got my BSc and MSc in computer engineering from Cairo University, Egypt. My MSc thesis was supervised by Prof. Amir Atiya. 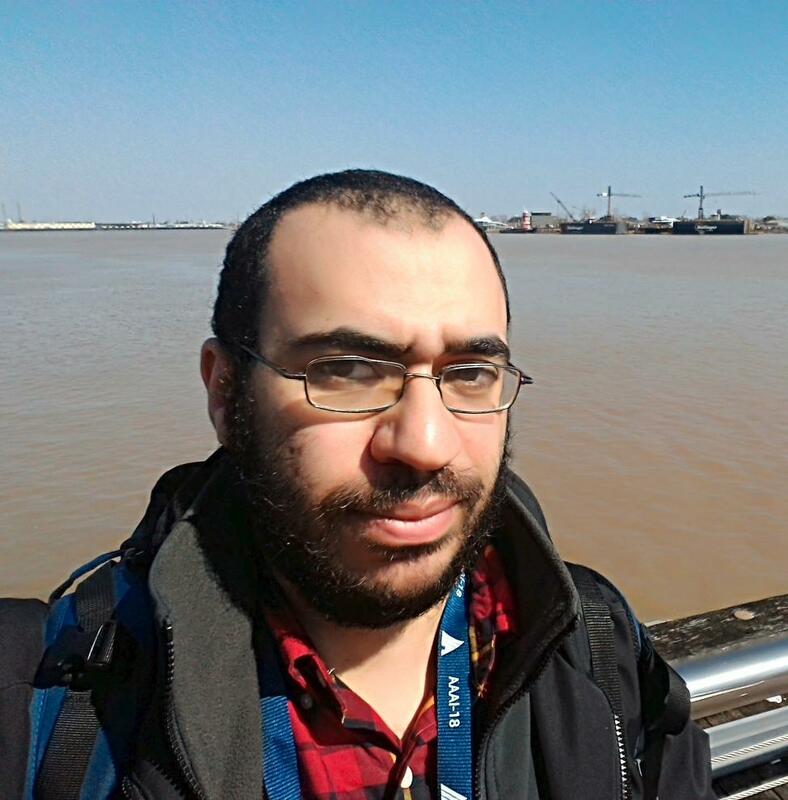 While working as a teaching assistant at Cairo University, I was also an R&D engineer at IBM Cairo Technology Development Center and then a research assistant at Cairo Microsoft Innovation Center (currently known as Advanced Technology Labs Cairo) with Dr Kareem Darwish. -2018- I started with Waymo as a software engineer. -2018- I defended my thesis! -2018- Our paper on reinforcement learning with recurrent predictive state policies has been accepted at ICML18. -2018- Paper accepted at SIGMOD18. -2017- Two papers accepted at NIPS17 and AAAI18. -2017- Two short papers accepted at Conference on Robot Learning (CoRL17). -2017- I gave a talk at the UC Berkley Center for Human-Compatible AI. -2016- Our team won the first place in the first neurohackathon hosted by CMU BrainHub. -2015- Our paper on asynchronous variants of variance-reduced SGD has been accepted in NIPS 2015. -2015- I spent the summer in Google[x], working on behavior prediction for the self-driving car . -2015- Our paper on large scale coordinate-descent with linear coupling constrains has been accepted in UAI 2015. -2015- I am TAing spring 2015 offering of 10601 (Machine Learning) with Tom Mitchell and Nina Balcan. -2014- I spent the summer in Google Mountain View as a software engineering intern, building models for user prediction. -2013- I am TAing fall 2013 offering of 10701 (Machine Learning) with Geoff Gordon and Alex Smola. -2013- I spent the summer in a Bing/MSR joint internship in Redmond. -2013- My paper with Avinava Dubey, Sinead Williamson and Eric Xing on non-parametric topic modeling over time has been accepted in SIAM Datamining Conference 2013. -2012- I spent the summer in Bellevue as a Microsoft Research intern, working with Bing Document Understanding team.